Welcome to the Association of Jewish Day Schools. 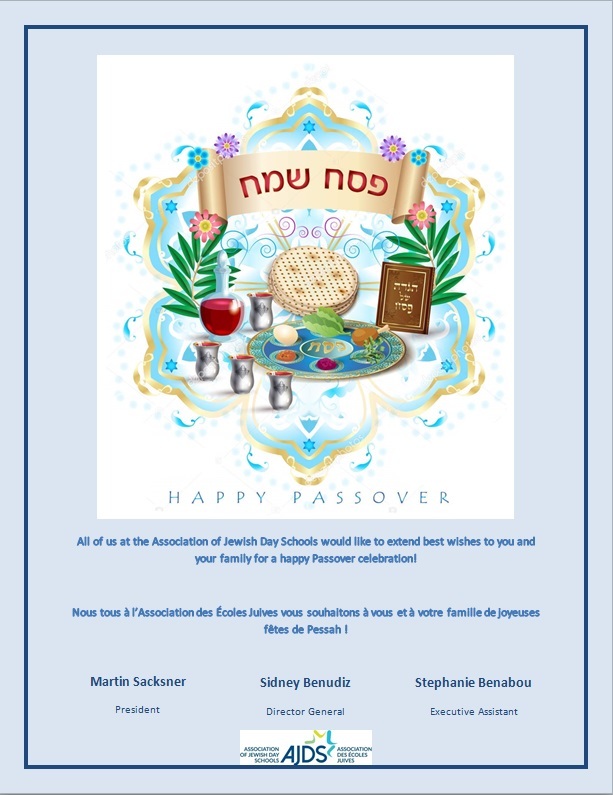 AJDS is an umbrella organization representing and promoting the interests of independent Jewish day schools in Montreal. Our government accredited group of 6 high schools and 9 elementary schools is consistently recognized for maintaining high academic standards and exemplary success rates. We are proud of the tradition of excellence within our schools but also strive to create the warm and nurturing learning environment that will allow your child to enjoy a well rounded experience in school. We encourage you to browse through this site and discover our network of community schools. If you have any further questions, please contact us directly. We would be pleased to guide you to the appropriate school for your child. What more can we ask for our children?